This 13-hour tour makes the most of a one day journey to the Grand Canyon. See the Grand Canyon via a small group of up to five passengers maximum. This small group tour gives you a more personal and comfortable experience as you make your way to your final destination. You may be taken to a variety of stops throughout this tour such as Sedona, the Painted Desert, Cameron Trading Post, OR Route 66. 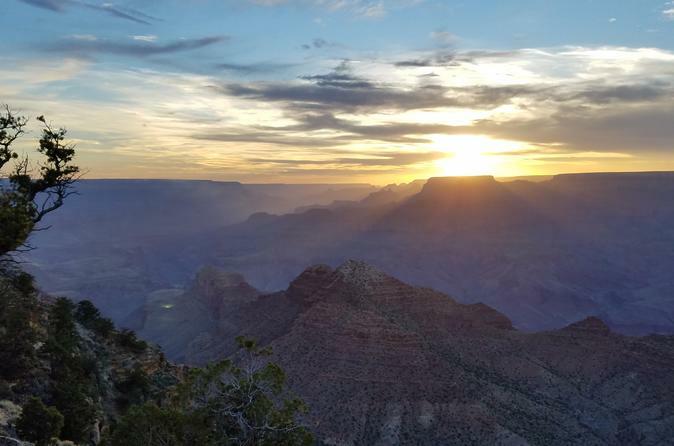 Lastly, you'll get a chance to visit a few of the canyon's best overlooks such as Yavapai Point, Moran Point, Grand Canyon Village, and Desert View Watchtower. Enjoy just the right amount of narration and quiet time to take in the scenery and history as you travel to the Grand Canyon. A few possible spots to stop and visit on the way are the historic area of Route 66, Cameron Trading Post on the Navajo Nation. Some tours visit Sedona or Montezuma Castle on the way. Your expert guide will take you to the Grand Canyon for about a 4-hour visit, making sure you get all of the best views that the park has to offer. Some incredible overlooks can be seen from Grand Canyon Village, Yavapai Point, and Desert View Watchtower.